This bold yet light-hearted design takes its cue from the curvaceous lines of the furniture. The unusual sofa calls for special attention when designing the carpet. In such cases we hand-draw the lines of the carpet-design, on a scale one-to-one scale – i.e. the actual size of the carpet -- on a nylon base. We then place the sofa on the one-to-one sketch which gives us a clear picture of how the design of the carpet and the contours of the sofa work together. 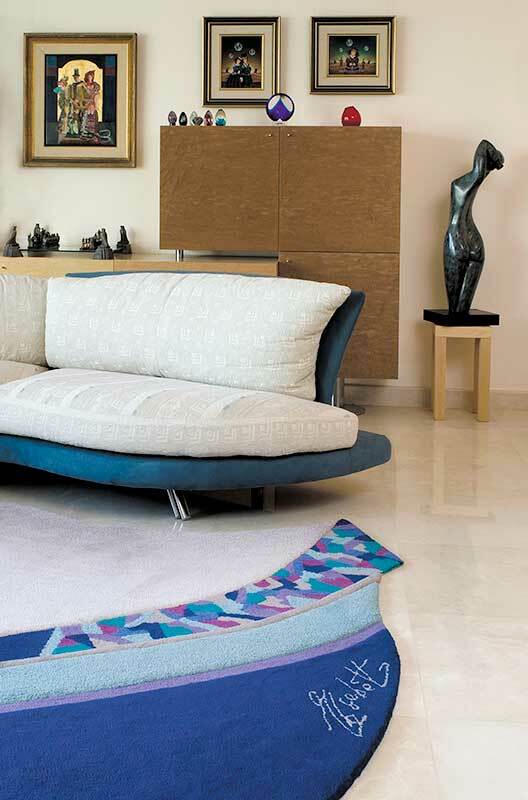 This carpet was designed for a modern apartment in the Tel Aviv area.